Last week I started work on a painting I planned to give to a friend. Standing at the old sink in the Little House (where my office is) I covered a small, square, wooden canvas with a mixture of turquoise and dark purple paint and left it to dry. The next day I added one or two more layers of the same colors. I liked the combination and was happy, so far, with my little project. Next I played with some tulle netting, painting over it like a stencil to add layers of texture and depth. Now I liked the painting even more and the more I liked it, the more my progress slowed. Love for what was made me hesitant to move toward what might be. But the painting was nowhere near complete. With the background finished, it was time to add an image and words. I already had words in mind and thought a fox would be a fitting image, so I looked online for a few samples to work from. With luck, I easily found a sketch I loved. I printed it and prepped my canvas board with a glossy gel layer that would preserve and protect the background while also allowing me to ‘erase’ my drawing at any point if I made a mistake. Then my progress stalled for several days. I loved the background, loved the fox, but I was afraid to mess up either one. I was afraid to start, afraid to try, even though the gel coating meant I could begin again at any time. I hemmed and hawed, I set my work aside and did not look the sly fox in the eye. Maybe it wouldn’t be worth writing about if it wasn’t such a common occurrence – the way fear creeps in, cloaked in perfectionism and I, a creature of habit and instinct, caught between fight and flight, freeze like a deer in headlights. Again, maybe it wouldn’t be much if it hadn’t happened also last week when it came to updating my book files, and if success updating the print files had (as it should have) given way to confidence to deal with the e-book files. Instead, each step ran up against (and temporarily stalled out in the face of) its own wall of fear. I see this pattern again and again in my creativity and, if I’m honest, in my life. I prefer the known to the unknown, even when the known is not particularly good, but especially if the known is good and filled with delight. How much time, how much energy, do I waste in this fearful pause? Why do I fail to believe that the grace of one step might carry over into the next? Maybe I need to become like the desert monk, Abba Paul, who worked all year long weaving baskets only to burn them and begin again each year - maybe I need to learn again and again the art of detachment, the gift of faith beyond sight. I talked with a college student about this the other night, one who’s currently taking a drawing class. We trotted together across the cold, dark campus on our way to a Bible study and I confessed how fear had me frozen. She offered no answer, but confessed to witnessing the same tendency in herself and we continued through the crisp winter night together until we reached our destination – a small house aglow with warmth and light. 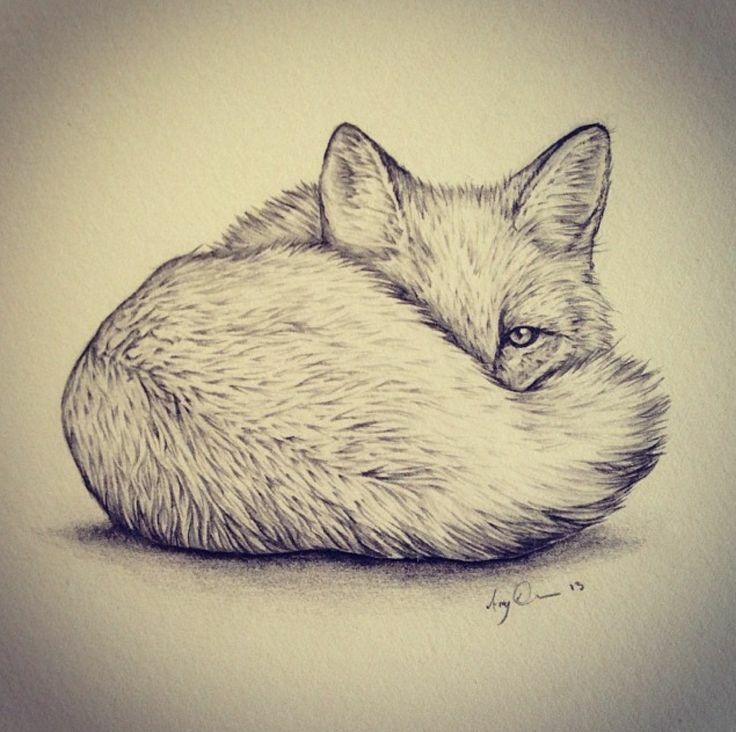 The next day, having voiced my fears aloud into the frigid night air, I pulled the fox from its lair beneath a stack of papers on the kitchen counter and looked it in the eye. With a white gel pen, I sketched the outline on my canvas first, then filled in the fur. I kept a bowl of water and q-tips nearby for erasing mistakes, but truth be told, I got it on the first try and barely erased a line. Then, emboldened by success, I added low-lights in midnight blue to bring the fox alive. I was happy with the drawing, happy with my success. Yet, I stopped, again, frozen in the face of the next step - hand lettering the words. How would I space them? What fonts should I employ? I set the work aside, because now I was even more invested, had even more to risk, even more to lose. Against the purple and blue background, the white fox sparkled silver and fixed me with its shining eye. Every wall of fear has a door. The door cracks open, for me, when I recognize fear as an invitation to examine my own intrinsic attachment and perfectionism. Now, when the wall rises up in front of me, I imagine stretching out my empty hand and opening the door. On the other side stands the fox, staring. Then, in a flash of beauty, she turns and runs off into the night. How do you experience and deal with fear in your creative life? In your faith life? Your thoughts about walls and doors really resonate for me at the beginning of 2017, and the word that chose me this year came as a result of reading Romans 5:2 on God's door being thrown wide open to me: We throw open our doors to God and discover at the same moment that he has already thrown open his door to us. We find ourselves standing where we always hoped we might stand—out in the wide open spaces of God’s grace and glory, standing tall and shouting our praise. Such a wonderful thing to be standing and rejoicing in this truth -- as I imagine that you are standing and rejoicing on the other side of the door you have just walked through! Yes->> "Love for what was made me hesitant to move toward what might be." It's a risk factor: keep the known behind Door #1, or risk losing/gaining for the unknown behind Door #2? I have to remind myself that life is meant to change so don't hold on too tightly onto the known. That fox was adorable. I'm sure your painting was as well! I talked with a friend just this morning about fear in ministry and the need for courage. Right now---I'm practicing being bold. When I sense fear, I go for it. I guess I'm looking at my running away as an alarm (when I notice it) to turn around and face fear in the face and go forward. I'm practicing pushing myself when I feel uncomfortable. Risking. Just like you did with the painting. It's exciting and I might just start enjoying the risks soon! Thanks for making me think more on this! Oh yes! Fear of making a costly mistake...a mistake that would require me to start all over...or even worse, a mistake I could not correct.